Tremendous strides have been made in the last decades in the advancement of offshore exploration and production of minerals. This book fills the need for a practical reference work for the state-of-the-art in offshore engineering. All the basic background material and its application in offshore engineering is covered. Particular emphasis is placed in the application of the theory to practical problems. 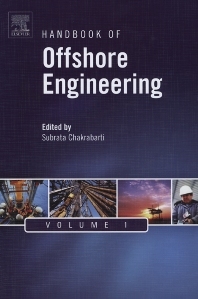 It includes the practical aspects of the offshore structures with handy design guides, simple description of the various components of the offshore engineering and their functions. The primary purpose of the book is to provide the important practical aspects of offshore engineering without going into the nitty-gritty of the actual detailed design.